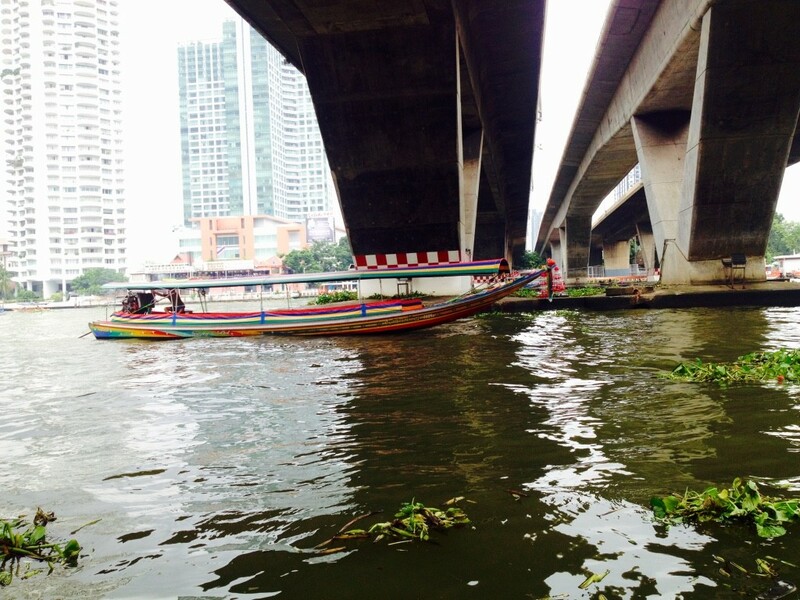 I was happy to make my way to the north after just spending 2 nights in Bangkok. One of the reasons, I was happy to leave was probably because of the weather. 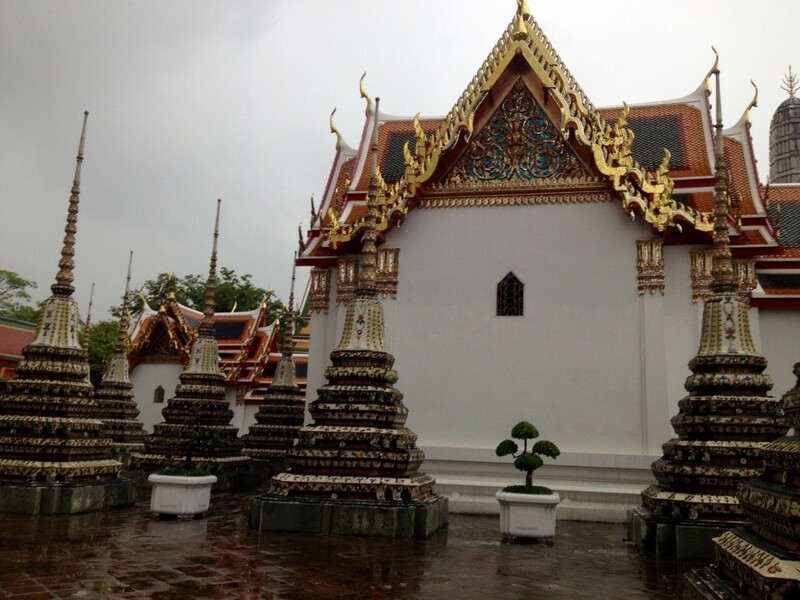 During the time I spend in Bangkok, it rained a lot. The sky was always cloudy and you weren’t able to the sun. 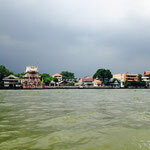 Actually, I think it is very rare to the see the sun in Bangkok since there is a huge smog cloud over the city. But fortunately, I really liked my hostel. It was very nice and clean. 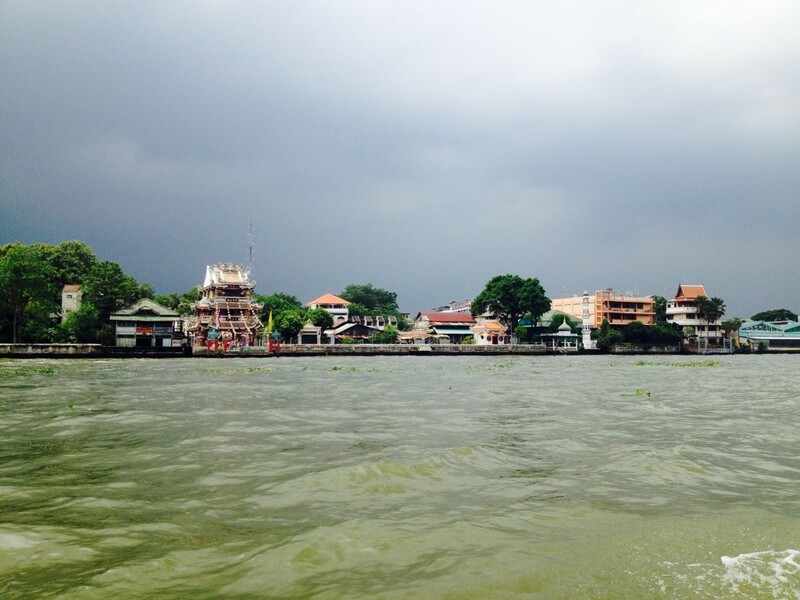 It was a little bit outside of the touristy area, so I took a boot / ferry to the old part of Bangkok. 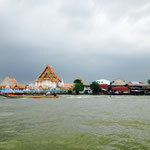 I enjoyed taking the ferry since I got a good impression of Bangkok and I was able to avoid the bad traffic in the city. 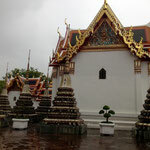 In the old part of Bangkok there are lots of temples. 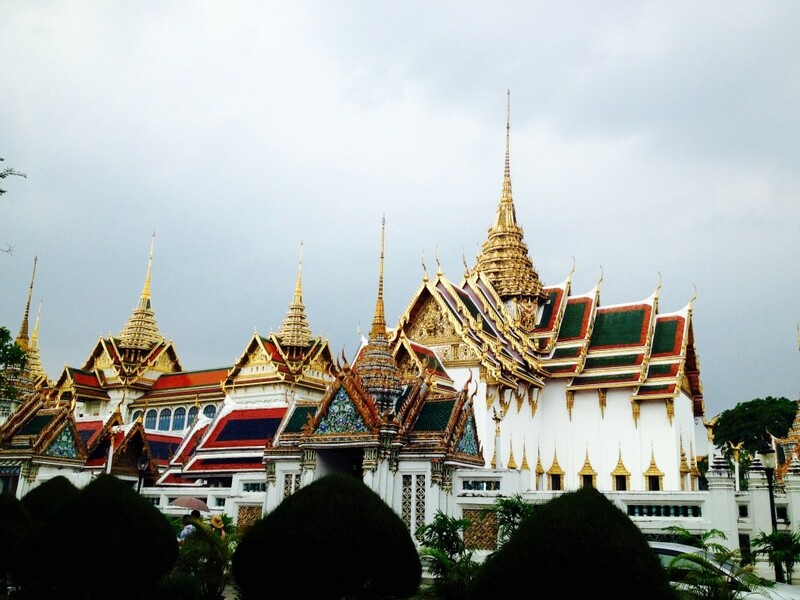 My favorites were the Grand Palace and Wat Pho. 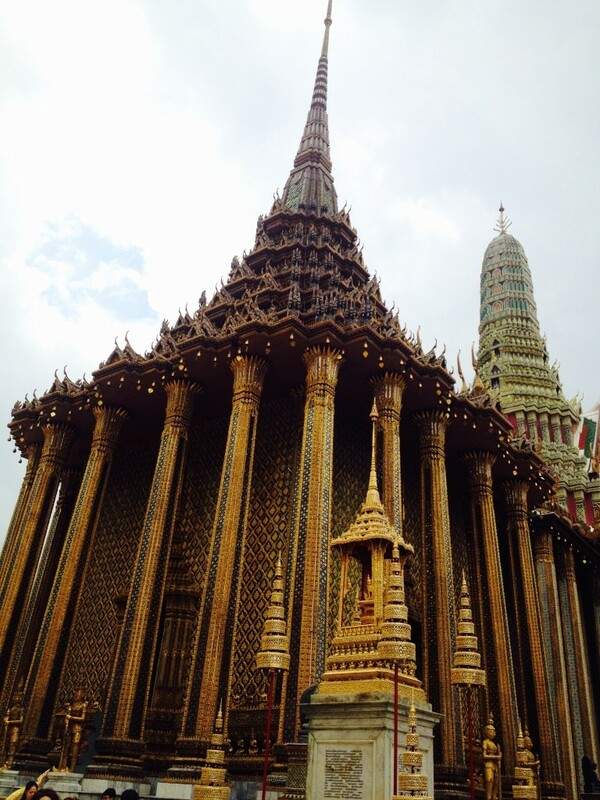 The Grand Palace was the official residence of the king of Siam from end of the 18th century to mid 20th century. 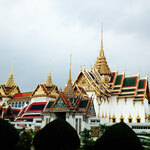 The Grand Palace is a huge area to walk around and explore the different building. You can easily spent multiple hours there. 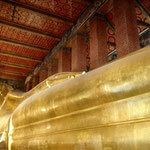 I really enjoyed the numerous Buddha statues and the gold-plated buildings. 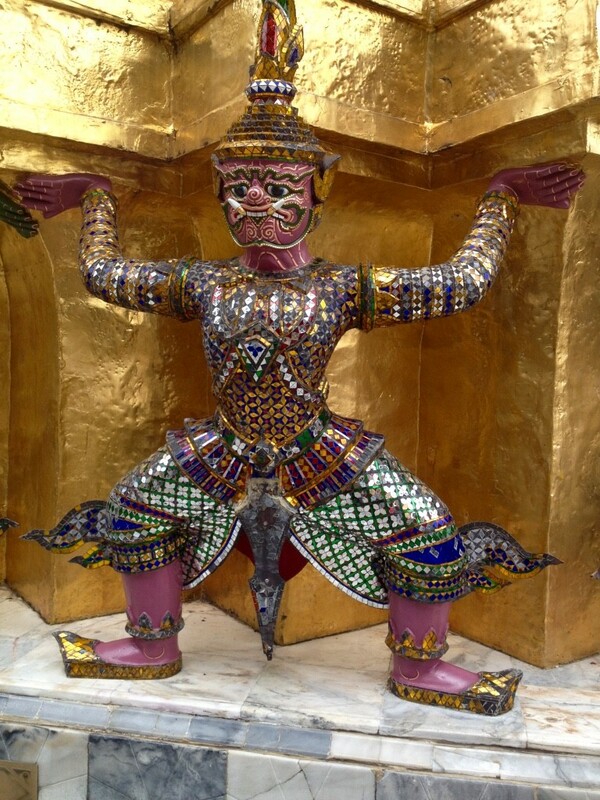 Wat Pho is another temple that I really enjoyed. 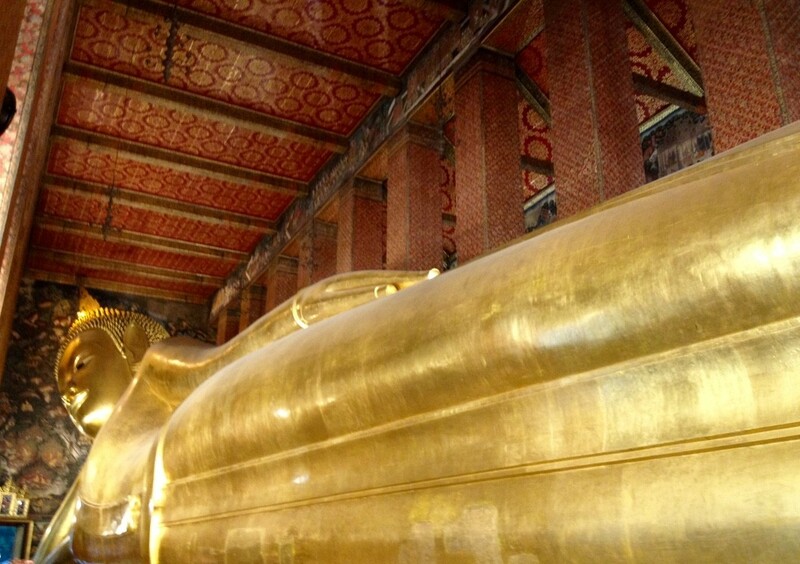 The highlight of Wat Pho is a huge declining Buddha that is 46 meter (150 ft.) long and 15 meters (50 ft.) high. 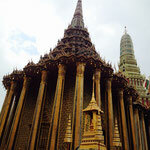 I personally like Wat Pho even more than the Grand Palace. Of course, because of the declining Buddha, but also because it was really nice and relaxed. You were able to explore the rest of the area without many tourists around you. As I already wrote in the beginning, Bangkok hasn’t really impressed me. 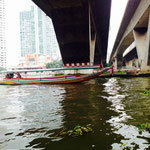 But I also think, that I have only experienced a very little part of Bangkok. 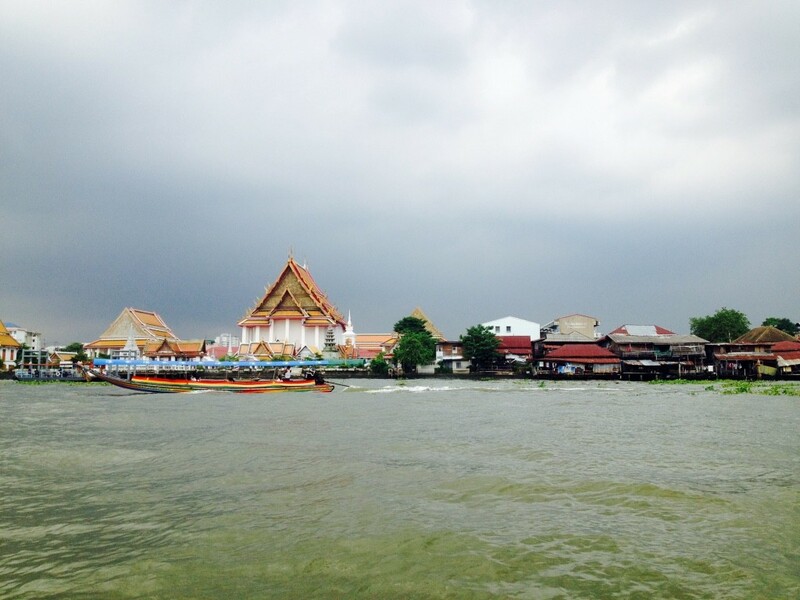 I am sure that I will return to Bangkok at some point during my travels and then I want to explore other parts of the city and maybe I’ll change my impression of the city. Next up is Chiang Mai. 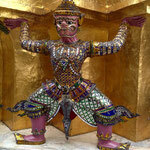 I am going to go take the night train from Bangkok to the Chiang Mai, which is in the northern part of Thailand.